For many reasons, people (women in particular) are intimidated by dumbbells (that aren’t pink…), barbells and squat racks. Rather than cross over to the free-weight section of their gym (where the ‘gym rats’ hang out), they head for the machines (hamstring curl, leg extensions, seated shoulder press, chest press and row, to name a few). 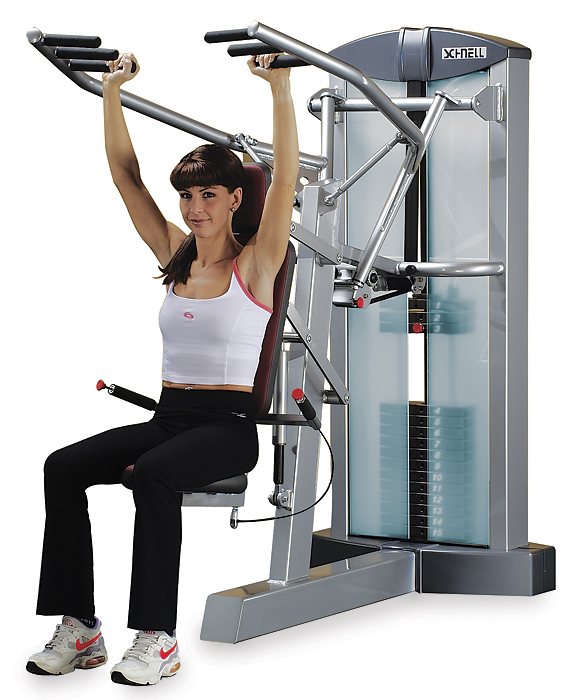 While machines have their place in some people’s fitness programs (correcting muscular imbalances, rehabilitating injuries, improving range of motion and breaking through plateaus are how I typically use them with my clients, when I use them at all…), they’re not so great for metabolism raising, fat burning or improving day-to-day functional movements. The three primary reasons people choose to exercise. Why? Because you sit at machines, rather than standing on your own two feet. Sitting does not require you to activate your glutes or engage your core to any great extent, both of which will dramatically improve your posture, fitness level and caloric burn. For those of you who are still not convinced that you need to learn to love free weights (or get to the gym in the first place), I’ve put together a list of my favorite body weight exercises. Exercises that can be done at home with minimal equipment, or at the gym in the corner or in the ‘stretching’ section of the weight room. These are all ‘bang for your buck’ exercises, in that they use multiple muscle groups and require you to stabilize your shoulder girdle and core throughout. When done correctly and at a good tempo, they’ll also elevate your heart rate, blurring the lines between ‘cardio’ and ‘strength training’. A word of warning; some of these exercises are not for beginners. Just because you’re not lifting dumbbells or barbells doesn’t mean the exercise is easy; pushups and pull ups require you to push and pull 75-100% of your body weight (dumbbells are starting to sound like a good idea after all, aren’t they!). That being said, there are modifications that you can do as you progress towards full pushups and pull ups. I’ve written previously about learning to do chin ups; you can apply the same rules in your quest for the pull up, just widen and reverse your grip (palms face forward). Check back tomorrow for ways to progress your ‘knee’ pushups to full on ‘toe’ pushups. Click on the links below for exercise descriptions and images. Are you already doing some of these exercises in your daily workouts? 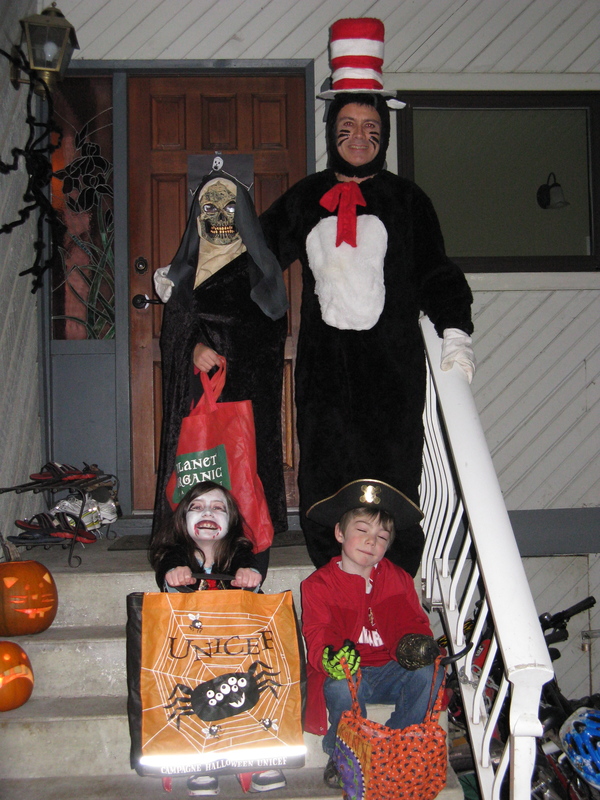 Ever since I was a kid, Hallowe’en has been my favorite holiday of the year. Is it the pumpkins that make it so special? Although I love cooking with pumpkins, I don’t particularly care for carving them. How about the costumes? Nope, more stressful than fun really (so much pressure to come up with a really unique, show-stopping costume, year after year). The candy? You guessed it! More specifically, the chocolate. Mmmmm. Those teeny, tiny squares of chocolaty perfection. There’s chocolate with peanut butter. Chocolate with marshmallow. Chocolate with almonds. Chocolate with coconut. Chocolate with caramel. Chocolate with bubbles. Chocolate with chocolate! Each one, a little bite of heaven in a crinkly wrapper. A little bite with a whopping 40-80 calories and 5-15 grams of carbohydrate! 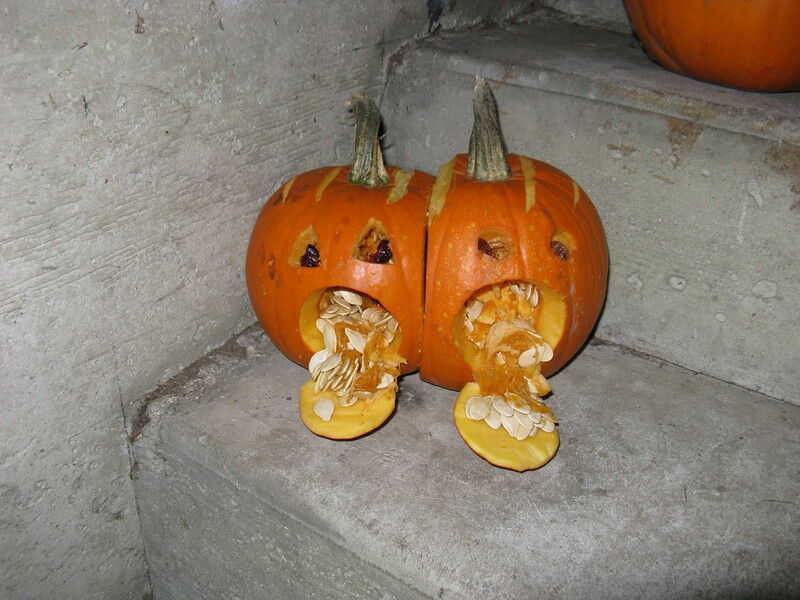 Over the years, I have developed some strategies to save me from Hallowe’en weight gain. Here’s hoping you find something on this list to help you out this year! don’t buy your favorites. Always give away something you don’t really like. Something that won’t tempt you while you wait for the next round of trick-or-treaters to arrive. Black licorice and gummy body parts are my treats of choice; I wouldn’t eat either unless absolutely starving, and maybe not even then. give generously on Hallowe’en night. A handful or two to each child. Aim to have nothing left at the end of the evening. If you run out early, blow out the pumpkin, turn off the lights and treat yourself to some air-popped popcorn. throw out the extra. Not just in the kitchen garbage. Take it immediately to the curb where you will be much less likely to try and retrieve it later. Imagine what your neighbors would say if they saw you foraging in the trash can. If this last one is difficult for you because you grew up in a household where wasting food was a mortal sin, remind yourself that candy is NOT REAL FOOD. What about the pillowcases full your children will bring home? My strategy is to let them eat what they want for the first week or so (only after a healthy dinner) then hide the rest for another week or so (just in case they remember that there’s still some left), before sending it to work with hubby or throwing it out. If you can’t resist sneaking a piece or two, remember to count it as one of your 3 or 4 weekly ‘treats’. Then, go brush your teeth before you cave and raid your children’s stash. Do Hallowe’en treats tempt you? I have two great passions in my life (besides my husband, and sometimes, my children); fitness and knitting. At first glance, they seem to be rather incompatible past times. One involves vigorous whole body movement, the other sitting on the couch, barely flicking one’s fingers for hours at a time. There are special clothes for exercise. Not so much for knitting. You can knit and drink a glass of wine and watch TV simultaneously. No wine at the gym, last time I checked. Exercise is about challenge and progress and setbacks and all out effort. And knitting? Turns out that fitness and knitting are more alike that one might think. There are many similarities between exercise and knitting. In fact, all I need to know about exercise I learned from knitting. I knit socks on 2.25 mm needles, with about 70 stitches around. The leg of a sock might have 70 rows in it; that 4900 stitches in one leg alone! Keep the goal in sight, but enjoy the process. When one spends hours making thousands of tiny stitches with small wooden sticks, thoughts of the finished object are unavoidable. But, focusing on the end of the project makes it feel more like work than an enjoyable way of spending your time. Concentrate on how the yarn feels running through your fingers. Stop to admire the evenness of your stitches. In the gym, listen to the beat of your heart. Note how it increases and decreases with your effort. Enjoy the feeling of your muscles as they work to press that weight over your head. The long-term goal is still a ways away; revel in the moment. Sometimes you have to go backwards before you can move forward. Knitters call this ‘TINKing’ (that’s KNIT spelled backwards). It happens when you don’t read instructions (I can vouch for this one personally), or when you’re not truly paying attention to what you’re doing. Similarly, injuries happen during exercise when we try to advance ourselves too quickly or are distracted in the gym. Setbacks happen and strength must be regained before we can once again move forward. Always take detailed notes. If you want to remember what you did on the first sleeve so you can knit the second to match, take notes, lots of notes. Don’t count on yourself to remember the specifics or the details of your last workout. When you’re getting results in the gym, it’s much easier to figure out why (and keep progressing) if you know where you’re coming from. Journalling is a truly effective way to measure progress. Be selfish; no one else appreciates your efforts as much as you do. I am a selfish knitter. I knit primarily for myself. I know that I will love what I’ve knit and will wear it with pride. Knits that I have gifted have not always been so obviously appreciated. Exercise for you and you alone. Don’t do it because someone else wants you to. Don’t do it because you think you should. Do it because you love how it makes you feel and look. Stranded knitting has always been difficult for me. Because I am a tight knitter, the fabric usually puckers. This sweater is for my daughter, and I’m proud to say, it’s my best stranded knitting yet! Don’t be afraid to try something new. For a long time I stuck to basic knitting projects. Things that I knew I could do well. If a pattern required a technique that I was unfamiliar with, I knit something else. Over the last few years, I’ve become more adventurous in my knitting. What’s the worst that could happen? I might screw it up. I might not like it. I might have to rip it out. Or, maybe, just maybe, I might find something else that I’m really good at! There are lots of fitness options out there. Weight rooms not your thing? Try Zumba. Can’t stand running? Hop on a spin bike. The options are nearly endless and there are new tools and techniques to tackle almost weekly. I gave up knitting this one in the evening; the lace rows were so long I would lose track of where I was and have to rip back row after row to find my mistakes. Know when tackling a challenge is a bad idea. I don’t knit complex lace at night. My attention is not focused and my eyes don’t work as well in the dark as they used to. Similarly, increasing my loads in the weight room is best left for when I’m feeling healthy and well, not when a cold is looming or I’m tired from a late night out. Challenge is good, but not all the time. Variety is a great motivator. I always have 3 or 4 projects on the needles (a simple sock in my purse, something complex for afternoons without the children). When I tire of one, I simply move on to another. Same thing with fitness. Bored with your current routine? If it’s a good one and you’ve seen results, switch it up for a week or two until you again need a change. I like to intersperse heaving weight training days with spinning days (love those cardio intervals!). Over the longer term, I might stick with a whole body training program for a month or two, then switch to body part training (one or two body parts a day) for a few weeks. Rather than do nothing, do something else! Surround yourself with like-minded people. Before I found Ravelry (an awesome online community of fiber artists; think Facebook for knitters), I had very few people to share my knitting obsession with. Now, I check in with my on-line knitting buddies daily for a dose of inspiration and support. I’ve learned a ton from these women and am continually motivated to try new techniques and patterns. Seek out friends and acquaintances who are as committed to exercise as you are. Motivate each other to do more and better. I have a vase of needles like this on my mantle; I grabbed this image from the web. Always choose the right tool for the job. The knitter’s primary tool is a needle. But needles come in many different styles (single point, double point, circular, cable), sizes (from 1 mm all the way up to 20 mm and beyond) and weights (stainless steel, wood, laminate, bamboo). Different projects (and yarns) require different needles. If you use the wrong needle for the job, you’re bound to be unhappy with the final result. Same things goes with exercise. You need to match the tool to your goals. Want to put on muscle and gain strength? Forego the fixed machines and light weights. Pick up a kettlebell, some dumbbells, a barbell. Approach the squat machine with confidence. Get face to face with the chin up bar. Make time for it every day! In order to get better at something and actually see the results of your labors, you need to do it frequently. I’ve been to the gym and knit half a sleeve today… and it’s not even dinner time yet! There! My top 10 list of similarities between exercise and knitting! Do you exercise? Do you knit? What are YOUR favourite similarities between exercise and knitting?